Want to learn to type fast using best free typing software or typing training programs? Here’s the list of top 15 best typing software free download 2019. If you are a blogger, content writer or a journalist, one of the most important skills which you should possess is typing. In order to put your valuable content on a document, you need to have precise typing skills. Nowadays, most of the decent jobs are computer-oriented. So, you will have to type fast and very quick in order to get work done on time. If you are a slow typing person then sometimes you might feel very embarrassed and annoyed at work because things can get a little slow due to your slow typing speed. But there is no need to worry about it, it’s never too late to learn anything specially when it comes to learning to type faster and improve accuracy or type faster without looking at the keyboard. There is a plethora of typing training software and computer keyboard learning software available on the internet which will help you in improving typing speed and enhancing your typing skills. Most of the best typing software and typewriting training programs to practice touch typing and practice typing on the keyboard are available on the internet with specific subscription fees. But we did a little research regarding good typing software for better typing speed and accuracy and came up with the list of best free typing software 2019. Here we go. If you search on Google for “free typing software” or “best typing software” or “typing training software free download” then you will notice one thing that most of the typing training websites and computer keyboard learning software offer you the lessons to practice touch typing while very few offer the lessons to practice Hunt and peck typing and Buffering typing technique. Touch Typing: In Touch Typing, you will have to use all your ten fingers to type without looking at the keyboard. It is the best way to type quickly and accurately. Typing on a keyboard without looking at the keys (Touch typing) has become an essential skill these days. So, if you want to learn to type without looking at the keyboard then you need to try out some of the best typing programs providing free touch typing lessons and courses. Hunt and Peck Typing: In Hunt and Peck typing, you will have to use only two or more than two of your fingers and type by looking at the keys. Hunt and peck typing technique is also known as two-fingered typing, search and peck or Eagle Finger etc. Buffering Typing: In Buffering typing, you remember a few words you have to type and then type those words quickly looking at the keyboard. Basically, it is the combination of touch typing and hunt and peck typing technique. Here we have compiled a list of best typing software free download 2019 to help you out. You can download any of these top 15 best free typing software for kids or adults and begin your journey in the field of typing. The first best typing software which makes to our list of typing training software is KeyBlaze Typing Tutor. KeyBlaze is the most popular typing tutor software which is well known to quickly learn speed typing, enhance and test your typing speed and accuracy, and learn to touch type (10-key). The software comes with a user-friendly interface which makes it very easy for one to learn to type. You will find several typing programs inbuilt in this software. The cool GUI also compels the user to learn typing. KeyBlaze is ideal for beginners who have just started learning to type. You can download this typing practice software for free. Simply, if you want to become a good typist then trying KeyBlaze Free Typing Tutor from NCH Software can help you a lot in learning touch-typing or practice your skills. 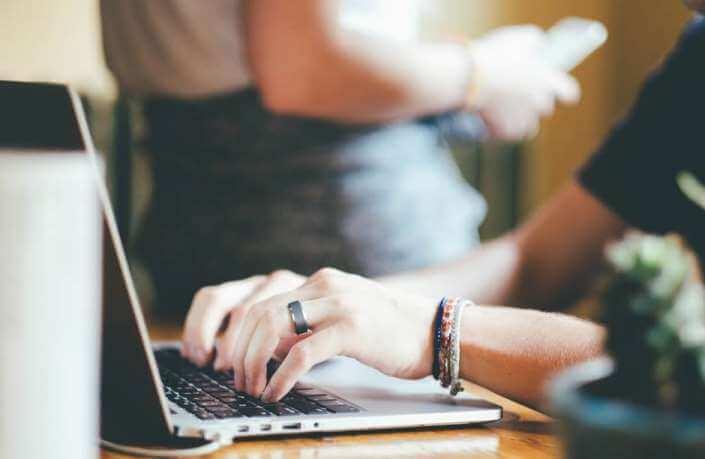 If you are a beginner or an amateur, you can use Typing Trainer online which is a 100% free typing web tutor to learn touch typing and keyboarding skills. We all know that typing is one of the demanded skills right now. If you are willing to learn to type or grasp your skills in typing using a best free typing practice software then you can use typing trainer. The application provides a free course which makes it very easy for the candidate to learn to type. You can also take different lessons which are available in the software to enhance your skills. Step-by-Step Approach, On-Screen Keyboard, Motoric Warm-up, Word and Text Drills, Smart Review, and Skills Test etc. are some of the highlighted features of Typing Trainer. Start using Typing Trainer online and double your typing speed today. Klavaro Touch Typing Tutor is just another free typing practice software which is available in 16 different languages such as Català, Čeština, Deutsch, English, Ελληνικά, Euskara, Français, Galego, Lietuvių, Hrvatski, Magyar, Panjabi, Polski, Português, Русский, and Esperanto. It comes with several different tutorials which make it very easy for the candidate to learn typing. If you are interested in establishing your career in typing then you ought to use this best free typing software. Just like KeyBlaze, Klavaro touch typing software free download is available for Windows operating system users. Internationalization, Ready to use keyboard layouts, Keyboard layout editor, Basic course, Adaptability exercises, Velocity exercises, Fluidness exercises, Progress charts, Including other texts, Semi-online contest, and clean graphical interface etc. are some of the main key features of Klavaro Touch Typing Tutor software. The next software which makes our list of best typing training software free download is Rapid Typing Tutor. Rapid typing tutor provides a fun way of learning as you are not only going to get typing lessons but also some games which really help one in enhancing their typing skills. This typing training software comes with multi-language support (Arabic, Dutch, English, Finnish, French, German, Greek, Hungarian, Russian, and Spanish). Rapid Typing Tutor makes keyboard training fun and entertaining. Full courses for Beginner and Advanced and Expert typists, Virtual Keyboard, Moving Hands, Supported Classroom, Progress Tracking, Lesson editor, Lesions Planning according to your skills and capabilities, Simple and colorful program interface, absolutely free for personal or corporate use etc. are some of the most important features of Rapid Typing. Even, there’s also a portable version of Rapid Typing available (with no installation whatsoever on your system) for personal or corporate use. In short, RapidTyping is really a reliable and good typing software which you can download for free from the official download page. It is perfectly compatible with Windows XP, Vista, 7, 8 and Windows 10. Max Type Pro is also one of the well-known typing training software to learn keyboard typing. The multi-functional typing interfaces make it very easy for people to learn to type and improve typing skills. There are different levels of this software which are ideal for candidates who are starting their typing career or want to improve their typing skills. It provides you the options to test and develop your typing skills from the basic level to a professional level. Top 6 different typing modes, visualized statistics, daily and weekly reports, learning time control function, built-in exercise library, personalized exercises and automatic suggestion of best typing mode etc. are some of the very interesting features of MaxType PRO Typing Tutor programs. 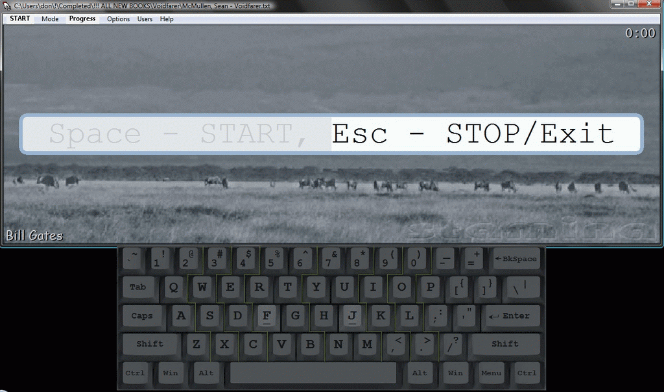 TIPP10 is a free 10-finger touch typing tutor for Windows, Mac OS, and Linux. It comes with user-friendly interface and cool graphics. You will see the text which you have to type on your screen. One of the best features of this free typing training software is that it will provide your instructions of how you have to use the keystrokes and type the text which is displayed on your screen. You can take help of different lessons to enhance your skills. You can also check which skills you have developed and your progress each day as you will open the software. Some of the most valuable features of TIPP10 Free Typing Software are Intelligent text selection, Ticker and virtual assistance keyboard, Detailed results, Open lessons and using your own texts, Extensive customization, Platform independent and multilingual, and easy to use and download for free etc. If you want to learn touch typing without any tutors then JustType Typing Utilities is a great choice for you. Basically, it’s an On-screen assistant for blind typing. JustType touch typing keyboard software comes with cool colors and user-friendly interface. The functionality of this software is pretty basic as all you have to do is just type which is coming on your screen. If you are an advanced user and think that you have aced the skill of typing then you can use touch type feature of this software. As you are going to get cool colors in this software, you can use it to teach typing to your kids as well. You can download this best free typing software for Windows PC for free. TypeFaster is a free typing practice software which will help you in learning to type and improving your accuracy. If you are working in a digital marketing organization, we know that it is very important to have good typing skills which you can achieve with the help of Typefaster Typing Tutor. TypeFaster typing program comes in three versions: Standard version, Accessible version, and Spanish version. The standard version of TypeFaster supports multiple keyboard layouts, 3D typing game, clear indication fingers, typing statistics, multi-user support, interface for editing, lesson progress indicator etc. and much more. While the accessible version of TypeFaster typing tutor program is for visually impaired or blind users. It supports the text-to-speech engine for providing continuous voice support. It comes with a user-friendly interface which makes it very easy for one to learn to type. You can also view all the key strokes on your keyboard with Type Faster. If you are looking for a comprehensive typing training software which comes with advanced features then you need to give a try to Bruce’s Unusual Typing Wizard. This computer keyboard learning software can easily improve our typing ability, speed, and accuracy because it is designed for beginners and those with some experience alike. The software is ideal for almost all users as there are different levels in this program. Not only you can learn to type with the help of this software but also check the number or errors, the percentage i.e. your accuracy and how many words you are typing in a minute. Bruce’s Unusual Typing Wizard is extremely flexible and highly customizable. You are going to get all its amazing features for free. The next software which you can use for free typing practice is Stamina Typing Tutor. It doesn’t matter whether you are a beginner or advanced user in the field of typing, Stamina Typing Tutor is for everyone. This is a multifunctional touch-typing software and it will help you in increasing your typing stamina and that too for free. You are going to get several amazing options in this software which is why it is the choice of a lot of users. Lessons designed for mastering certain keys, Lesson editor, timer, Graph of speed changes during a session, Support for several users, User-friendly thought out interface, and Customizable appearance etc. are some amazing features in Stamina Typing Tutor program. This is really a best free typing software for adults and kids and the multi-language support has made this software choice of millions around the globe. Another free typing training software which you can use is Letter Chase Typing Tutor. If you are serious about mastering the keyboard then you will have to use this free computer keyboard learning software. The software is available for free and provides all the basic features which are needed in a good typing software free download. It has a series of total 11 different lessons and each lesson includes practice typing each key individually. Letter chase typing tutor is, in fact, one of the best typing software for kids, so if your kid is new to typing or wants to try a hand on keyboard introduce him/her to letter chase typing tutor. With the total of 150 lessons to learn typing, Kiran’s Typing Tutor is also a great option for people who are planning to use a free typing software or free typing tutor in order to learn Touch Typing and improve typing skills. Typing lessons, typing practice, typing tests, numeric typing, kids typing, typing games, statistical graphs, finger preview and key preview etc. are some of the popular section of Kiran’s Typing Tutor program. You can easily understand the words which you have to type as they are displayed in big fonts on your screen. As the name suggests, Cool Typing Tutor is a cool and easy to use typing training software free download which you will love to use. One of the unique features which you will get to see in cool typing tutor is that you can save the all the content which you have typed on your by creating a web page. Once you have completed all the lessons of this software, you will be able to type even without looking at the keyboard. Another useful computer keyboard learning software is Analytical Eye Typing Tutor. This free typing training software is designed to help develop touch typing skills. If you can only spare a little time and want to learn to type then using Analytical Eye Typing Tutor is the best option for you. The software is easy to install and use. You will get different lessons on this software which you can use. The unique tracking and monitoring feature of this software allows one to evaluate how much they have progressed. You can download analytical eye typing tutor for free. If you are a novice not only to typing but also to computers then you can use Bodie’s typing tutor to increase your typing speed. This software can be used by almost everyone who doesn’t even know how to operate a computer or laptop. It will take one a week or two to grasp good typing skills with Bodie’s typing tutor. You can also learn different techniques which will help you in penning down an awesome piece of content with this best typing software for kids. It feels great to add new skills to your resume and now you can too by using all these best software to learn to type. Above explained typing training software free download will perfectly help you in improving your typing skills and that too for absolutely free. Let us know using the comments section below – Which free typing software are you using? Do you know about any other best free typing software to learn to type like a pro? I have been using a computer for a very long time, but I never really learned how to properly type. I tried a couple other products, but I quickly lost interest in them. These free typing software or typing training programs are pretty straightforward and even as you progress they will include previous keys that were taught to ensure that you do not forget. You can make adjustments to your typing speed goals and the program let you know your accuracy and what keys you need to review. The program also lets you repeat lessons if you want. I find myself making an effort to type properly as much as I can, especially when I am at work. It’s a simple download and a good price. I recommend these best typing software free download!